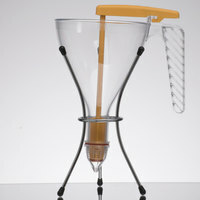 Take the mess out of pouring ingredients into bottles and containers with a kitchen funnel. 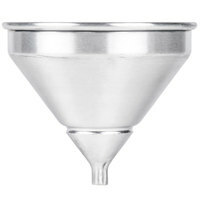 Our selection of kitchen funnels come in stainless steel or plastic, and some designs come with a strainer for less smooth products. 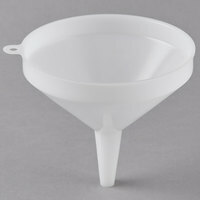 Choose from a variety of sizes from extra-small funnels to funnels with a capacity of several quarts for any food transferring needs. 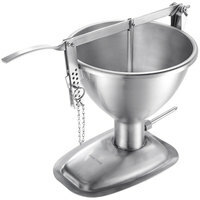 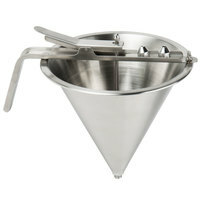 A food safe funnel provides a controlled, consistent flow of ingredients that can also be used to garnish plates and meals. 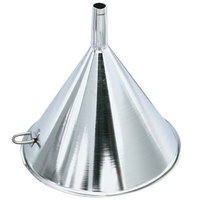 A cooking funnel can be used in any foodservice location, including bakeries, bars, restaurants, cafeterias, buffets, and catering businesses. 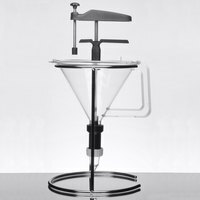 Keep funnels at every station in your commercial kitchen so your staff can neatly and efficiently pour or transfer food products. 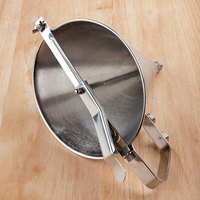 Whether you need to transfer salad dressing into appropriate bottles or dispense a certain amount of melted chocolate over your desserts, we have the food funnel you need. 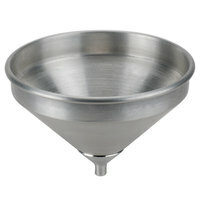 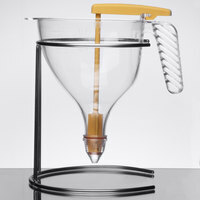 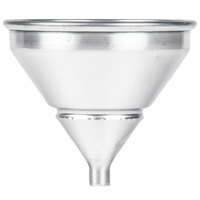 <h2>What Is a Funnel Used for in Cooking?</h2> A food grade funnel is often used to pour liquid or a fine substance into a small opening, such as a bottle or jar. 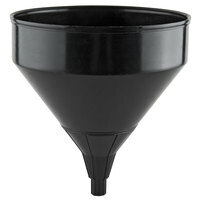 By using a funnel, you can prevent spills from occuring by providing optimal control over the pour. 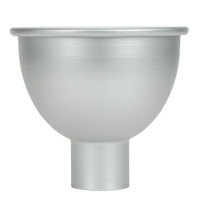 3 0.2 - 0.5 Qt. 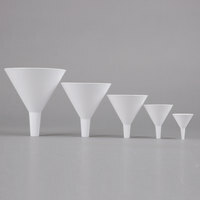 5 0.7 - 1 Qt. 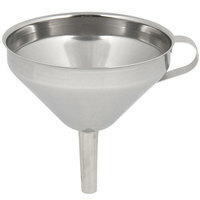 6 1.5 - 2 Qt. 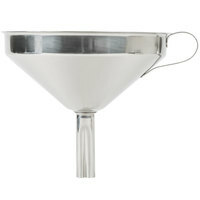 2 4 - 5 Qt.